The memory modules below are 100% compatible with your Alienware 2100DV Series (Rimms) Desktop. Not your model? View the complete range of Alienware Desktops or view all Alienware upgrades here. Short for Hierarchical File System Plus, HFS+ was created at the beginning of 1998 as part of the Apple Mac 8.1 Operating System (OS). It succeeded the former system (plain old HFS) as the foremost Apple file system and was subsequently replaced by its successor, the functionally named Apple File System (APFS) that was part of the 2017 launch of High Sierra OS. This format allowed devices such as the iPod and the Mac PC to manage data from various associated storage mediums. In common parlance, HFS+ is also known to be referred to as HFS ‘Extended’. "The offtek website was simple and clear. The correct product was offered for my particular needs. 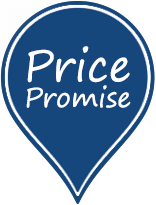 Price was very good, delivery fast and the item was exactly what I needed. Couldn't ask for more. Thank you." "Worked really great and arrived very quickly..Thanks"
"parfait, produit conforme. tres bon produit"
"Absolutely perfect business,very professional hence 5 stars"